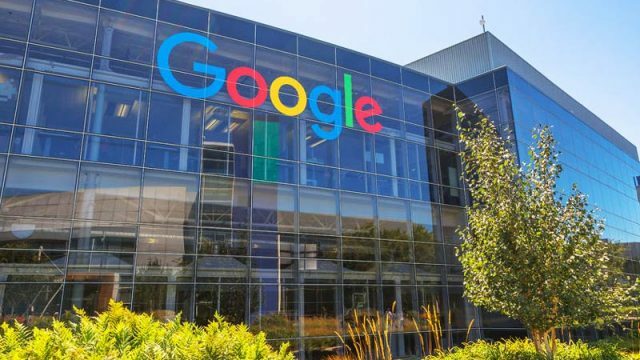 The High Court of Australia has ruled that a Melbourne man has legal standing to commence proceedings against United States-based Internet juggernaut Google for allegedly defamatory material posted on the company’s search engine. Milorad “Michael” Trkulja was shot in the back at a Melbourne restaurant in 2004. In subsequent Google searches including “Melbourne criminal underworld photos”, Mr Trkulja’s image was posted alongside those of notorious crime figures. The search engine’s auto-complete function also came up with suggestions such as “is a former hit man”, “criminal” and “underworld” when Mr Trkulja’s name was entered. The Melbourne man first sued Google in 2012 for defamatory content posted by third parties and won. He then began proceedings in relation to the allegedly defamatory images and autocomplete predictions, but that case was blocked by the Victorian Court of Appeal (VCA) on the basis that the case had no real prospects of success. During those proceedings, Google’s lawyers submitted that it is generally accepted that search results for crime figures turn up images for their victims and family members, witnesses and even actors in documentaries and movies relating to those figures. The VCA agreed, additionally finding that Google could not be held legally responsible for automatically generated online search results. Not one to give up easily, Mr Trkulja sought “special leave” to appeal the VCA’s decision to the High Court of Australia. That “leave” (or permission) was granted last year. In a unanimous judgment led by Chief Justice, Susan Keifel, the High Court ultimately found that while it was clear that movie stars, such as Marlon Brando, were not underworld figures or associated with them, it could reasonably be inferred from the searches that a relatively unknown person, such as Mr Trkulja, might be connected with criminality or the underworld. “There is no evidence here…that it would have been apparent to an ordinary reasonable person using the Google search engine that Google made no contribution to the elements of those search results that convey a connection between Mr Trkulja and criminality,” the Court found. The Court ruled that Trkulja could therefore continue his proceedings against the Internet giant. The decision has triggered debate about who is legally responsible for the accuracy of content on digital platforms; and, more specifically, what parties are considered to be publishers for the purpose of actions for defamation? With the proliferation of technology including social media, search engines and directories where customers can rate services, it is a question that both the courts and law reform commissions across Australia have grappled with for years. The NSW government is now calling for a “cyber-age reboot” of the Defamation Act, despite the fact it was enacted just 13 years ago. But with technology continually evolving, there are concerns that any highly-prescriptive and therefore inflexible piece of legislation will soon become outdated and problematic. As the situation currently stands, it is clear that anyone who publishes, or republishes, information on their social media account can be liable for defamation proceedings – but the situation becomes less clear when it comes to information posted to directories and returned by search engines. Mr Trkulja is not the first Australian to sue Google for defamation. A South Australian woman successfully sued the company after she found links to negative reviews and comments about her business on its search results. Mr Trkulja says he will continue his fight until Google blocks his pictures, while the search engine vows to vigorously defend the proceedings.